This week's charts cover the period from April 1st to 8th. Supercell has introduced new season challenges for Clash of Clans. And the new Gold Pass, which gives players better rewards for completing those tasks, has enabled the game to shoot up the top grossing positions into first place across both the App Store and Google Play for the week of April 1st. It now sits above the likes of King's Candy Crush Saga, Tencent's PUBG Mobile and Epic's Fortnite. Over on the premium game rankings, Weather Factory’s Cultist Simulator has hit third spot on Google Play as the only new entry for the week. 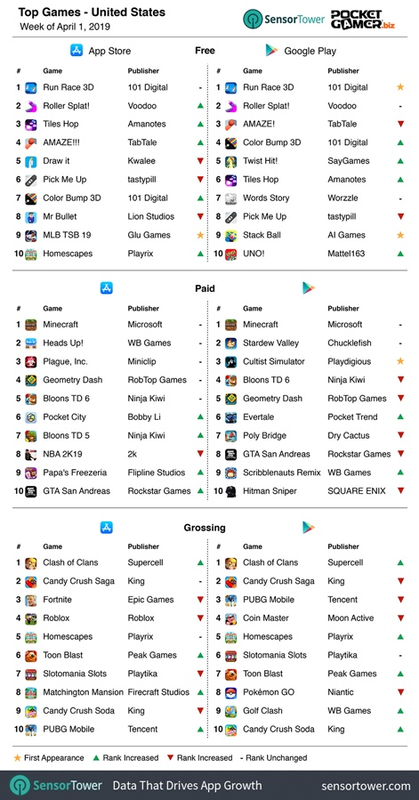 When it comes to the free downloads charts, 101 Digital topped both the App Store and Google Play with Run Race 3D, sitting above Voodoo's Roller Splat. 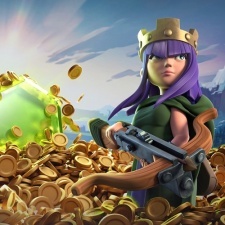 The new Clash of Clans Gold Pass helped the game rise up to second and third on the App Store and Google Play top grossing rankings, but it wasn't enough to dethrone Moon Active's Coin Master from the top spots. Cultist Simulator meanwhile bagged itself sixth place and second place on the App Store and Google Play paid charts. Other new entries include Stephen Brown's Rush Rally 3 and Sennep's Alphaputt. Run Race 3D topped the free downloads chart on the App Store, much like it did in the US, but it was unable to push out Roller Splat on Google Play. Tencent's Honor of Kings held on to the top grossing spot over Perfect World for the week, with NetEase's Fantasy Westward Journey rounding off the top three. 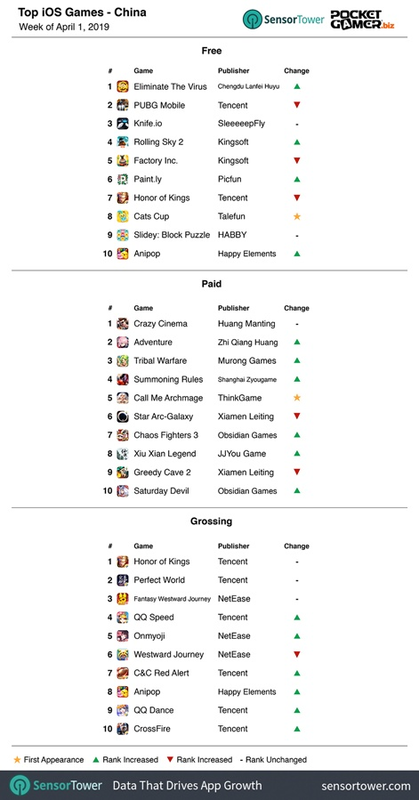 New risers into the top 10 include CrossFire, QQ Dance, Anipop, C&C Red Alert and Onmyoji. 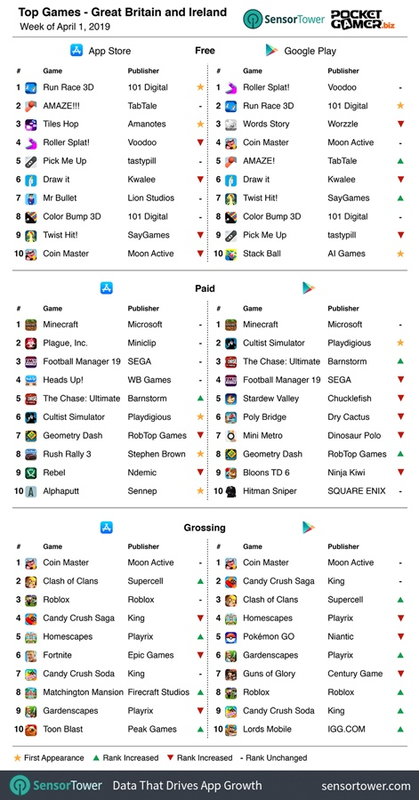 You can meet many of the companies in these charts at our Pocket Gamer Connects events. The next one will be Pocket Gamer Connects Seattle on May 13th to 14th, following by Pocket Gamer Connects Hong Kong on July 17th to 18th.